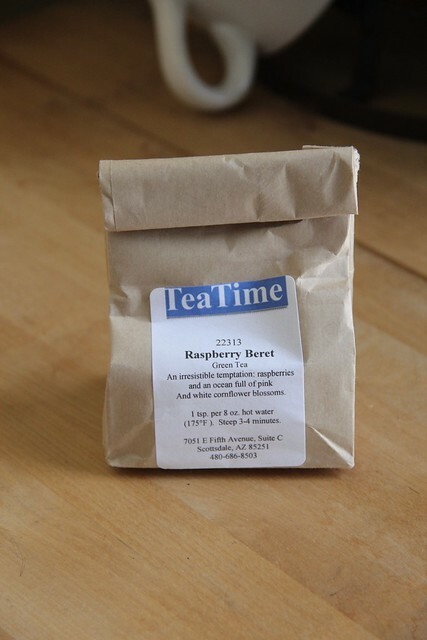 Another tea my friend Liz brought me from Tea Time Scottsdale was Raspberry Beret. 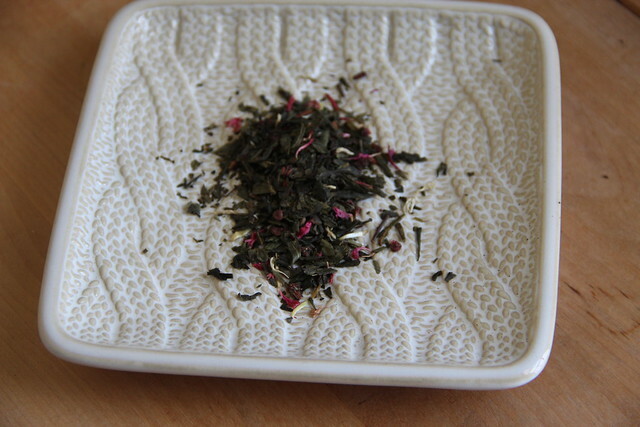 From the package, Raspberry Beret is a green tea with raspberries and pink and white cornflower blossoms. When I opened the package, I got the undeniable aroma of raspberries. Once brewed I got more of the green tea scent. I was a little disappointed that the raspberry flavor wasn’t stronger, because I felt it competed a little bit with the green tea. That said, it was light and would probably be delicious as an iced tea during the summer months. Previous The Corner of Knit & Tea: Episode 121, Let’s have a chat. Next The Corner of Knit & Tea: Episode 122, Just WIPin’ along.